If you’re a homeowner, you’re probably concerned about termites. The words “termite infestation” bring up distressing images of crumbling wood, squirmy bugs, and those awful fumigation tents. But, while termites are one of the most destructive household pests, the good news is you can prevent extensive damage if you catch the infestation early enough. If you suspect that you have termites crawling under your house or in the walls, it’s a good idea to get a termite inspection. 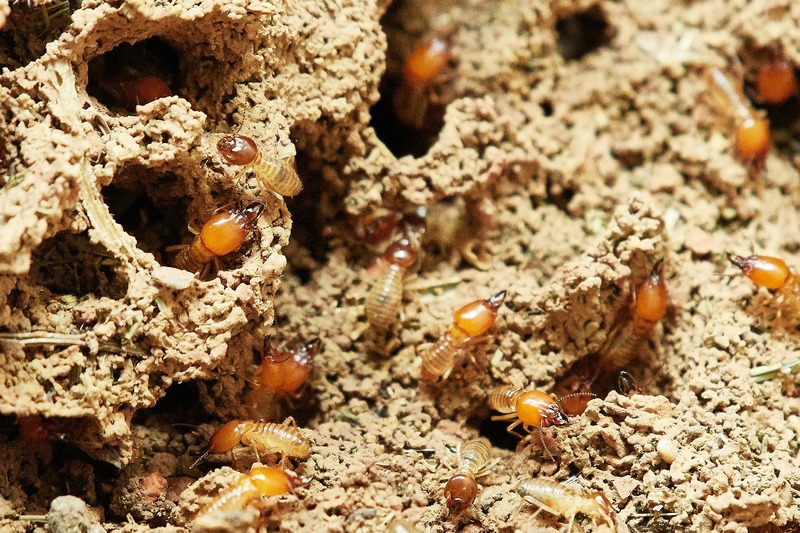 In this article, we’ll cover everything you need to know about termites, including how they live and work, how to prevent them, what to expect during a termite inspection, and what your treatment options are. In Florida, we deal primarily with two types of termites when it comes to home damage (but there are more that are beneficial for the environment): subterranean and drywood. And—despite them both being termites—each of them are different. Subterranean termites are the most common type of termite and the one you probably think of when you hear the word “termite.” There are two different types: Asian and Formosan. As their name suggests, they live under the ground and construct mud tubes to get around and come out at night because they can’t take the heat of the day. They can enter your home through accessible wood (as long as it touches the ground, it’s fair game), cracks in concrete block or stucco, or foundations made of hollow blocks. Subterranean termites can’t take the heat of the day, so they come out at night (like all termite species, they never sleep) and stay in contact with the earth to stay cool. Because the colonies usually have more than one egg-laying female, subterranean termite populations can grow exponentially. The average colony size contains hundreds of thousands of termites. The sheer number of them is one of the reasons why subterranean termites are the most destructive type of termite. The other kind of termite is a Drywood Termite. They are a hardier pest and don’t need contact with the soil, like their subterranean cousins. In fact, they prefer dry, undecaying wood (hence the name). They typically enter your home through any exposed wood (I’ve seen a lot in attics) or even a piece of wooden furniture. Drywood termites are clean bugs that get rid of their waste, which is often how they are found. They remove their frass (i.e. feces) from their tunnels, which leaves piles that resemble sawdust or coffee grounds. In fact, some people sweep away small piles of “sawdust” from time to time, not realizing the problem within their walls. While drywood colonies are smaller than subterranean ones (about 1,000 strong), the bugs stay in or near the colony and can do a lot of localized damage over time, often staying in a space the size of a large trash can. And because they can take the heat of the day, they stay in your home and keep eating. Alates are the termites with wings and are also known as termite swarmers. Once they mature, they have only one thing on their mind: reproducing. The swarmers leave the nest by the hundreds to pair off and start new colonies. They only use these wings once in their lives and they are not proficient fliers, going where the wind blows. Once a male and female pair have successfully mated and found a place to raise their own colony, they shed their wings and do not grow new ones. Once a colony has stopped swarming, that doesn’t mean it is gone or won’t swarm again. Once more alates mature, the cycle starts all over again. The only way to be rid of a termite colony is extermination. All termites can be difficult to detect, because they live completely inside their food source (i.e. wood). But they don’t live in your home completely evidence free. droppings (“frass”) that resemble sawdust or coffee grounds. mud tubes (for subterranean termites). One of the less common signs of termites is a soft clicking sound in your walls. If they sense danger, termites bang their heads against the walls of their tunnels to warn the rest of the colony. 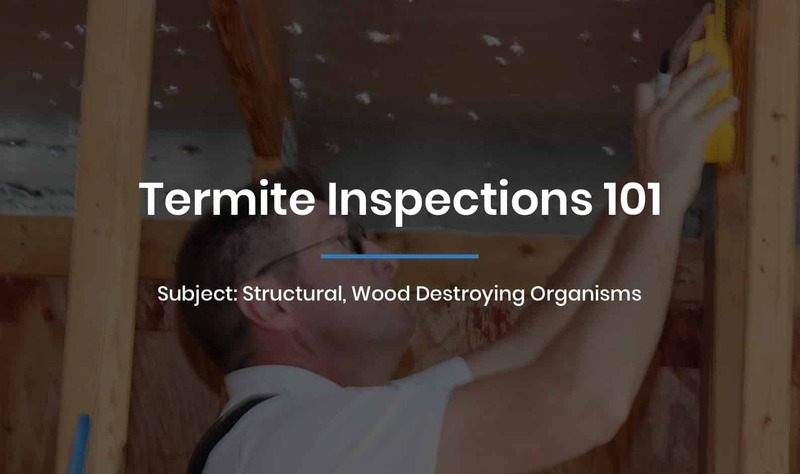 If you have found evidence of termite damage or activity in your home, a wood destroying organism (WDO) or termite inspection can confirm your suspicions. 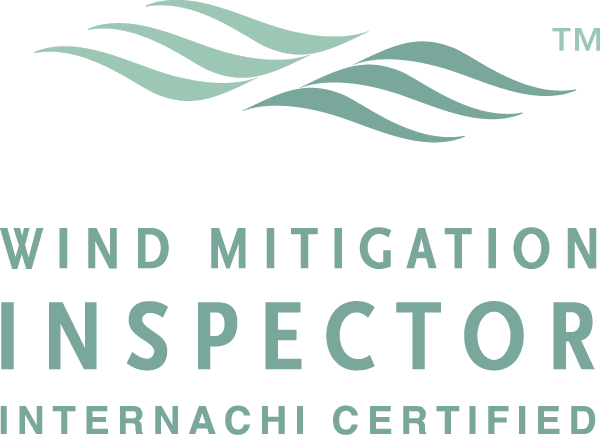 WDO inspections are regulated by the Florida Department of Agriculture and require extra licensing and certification. 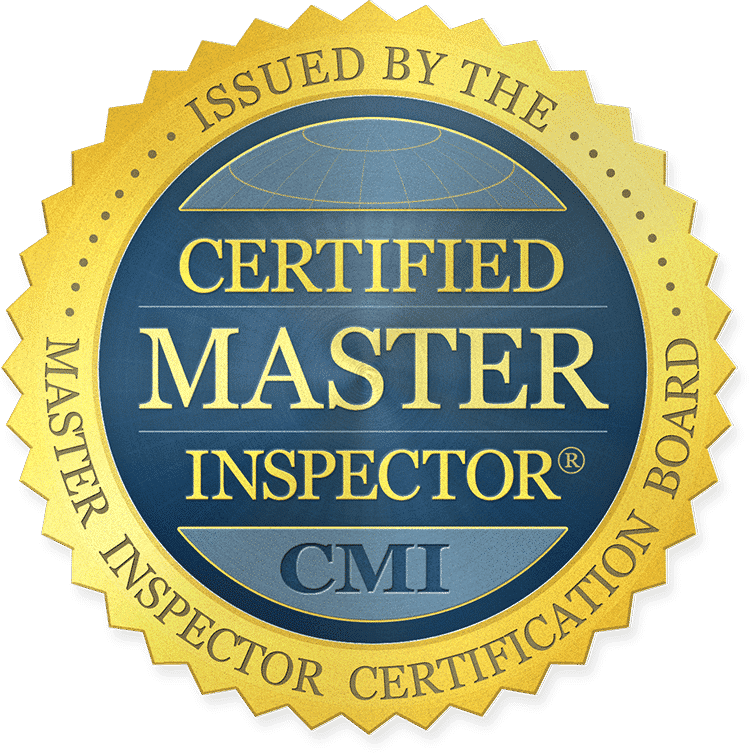 A reliable pest control company not only holds this certification, they know what to look for and can also advise you on treatment options. 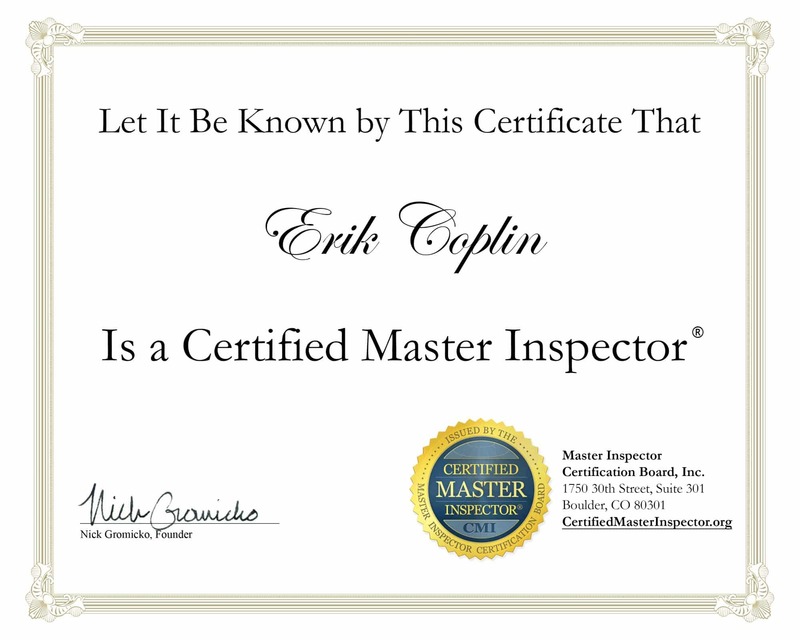 If you hire a home inspector for a termite inspection, make sure they are qualified and certified for WDO inspections. These can be an add-on to a buyer’s/seller’s inspection if you’re already getting one. Ask your lender if this is something they require so your inspector can do both inspections on the same day. To prepare for your inspection, make sure to move any items that may block viewing of walls and areas of the home. Once your termite inspection has detected an infestation, what should you do? The first thing to remember is that you need to act quickly. Termites don’t sleep, meaning they are busy eating your home and breeding more baby termites 24 hours a day, 7 days a week. Make sure you hire a pest control company that knows how to get rid of termites and specializes in termite extermination. Don’t try to exterminate termites with a do-it-yourself method! Termites are very difficult to eliminate and if you don’t know how to use them properly, you could harm yourself in the process. Treatment options depend on what type of termites are detected. 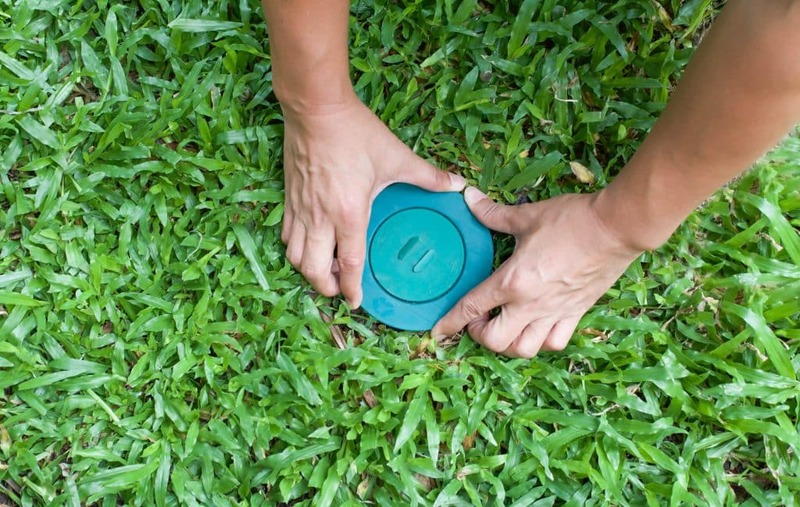 Because subterranean termites dwell under ground, applying a termiticide (a pesticide designed specifically for termites) in the soil around the perimeter of your house is the best method. This will also prevent new swarms from entering your home. Because drywood termites don’t live underground, soil barrier methods likely won’t work. 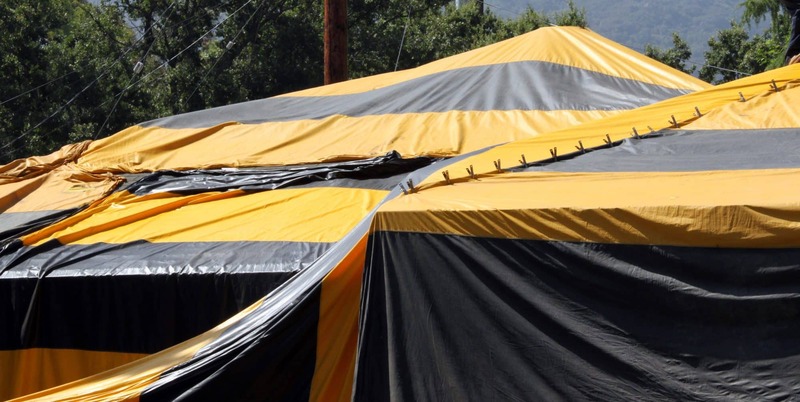 Instead, fumigating (those lovely termite tents! ), heat treatments, and localized termiticide are your best bet. Dampwood termites aren’t usually found inside homes because they typically nest in wet, decaying wood. More often, they infest firewood piles, tree stumps, or other wood scraps that might be lying around your yard. If you find a termite infestation here, removing the damp wood should take care of the problem (or applying a termiticide to a tree stump). 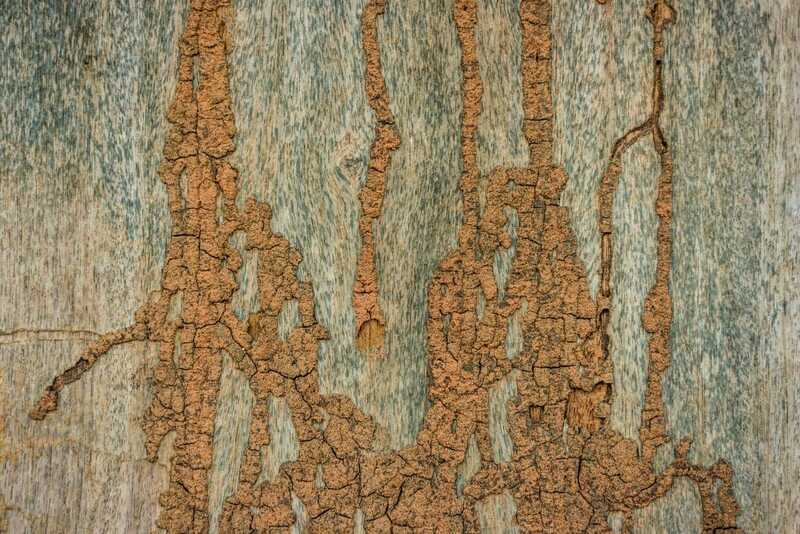 If you do find dampwood termites in your home, moisture intrusion is your biggest worry. 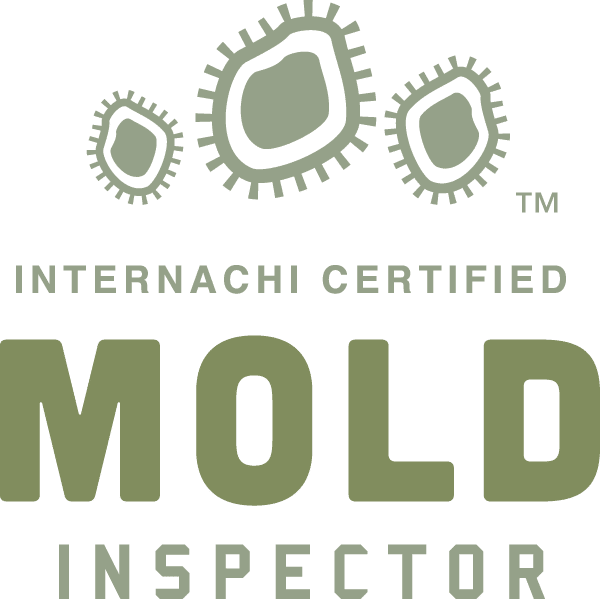 Getting rid of the water source (fixing a leak or crack) and removing any moist wood usually takes care of the problem, but termiticide applications are helpful as well. Of course, the best method of termite control is prevention. Most pest control companies offer a maintenance plan to periodically inspect your home for the presence of termites. If caught early, termite treatment will rid your home of these pests before they cause any serious damage. Of course, you should be taking precautionary measures on your own to make sure that you’re not attracting termites to your property. Termites love two things: water and wood. Keep the perimeter of your structure water- and wood-free, and you’ll drastically cut down on your home’s termite appeal. Prevent any moisture from building up in and around your house. Clean debris out of your gutters (it causes water to collect) and check your home routinely for leaks and water intrusion. Keep firewood, lumber, stumps, and yard waste away from your home’s structure. Even the tiniest of cracks in concrete or stucco are enough to admit a colony of termites. Cut back tree branches so they are not touching your home (this is good pest control advice in general). Even efforts to beautify your home can unwittingly make you more susceptible to termites. Many homeowners lay bags of mulch in their flowerbeds and cut away the top layer of plastic, leaving the bottom layer as a weed barrier. The problem is that plastic doesn’t breathe the way a specialized weed block product does. It collects water, which is soaked up by the mulch, and you’ve just created a termite buffet…right next to your home. Termites are expensive and time-consuming to get rid of, but early detection is the key to minimizing your losses. If you notice any “ants,” crumbling wood, shed wings, or “sawdust” around your home, schedule a WDO or termite inspection by a qualified pest control company or home inspector immediately. 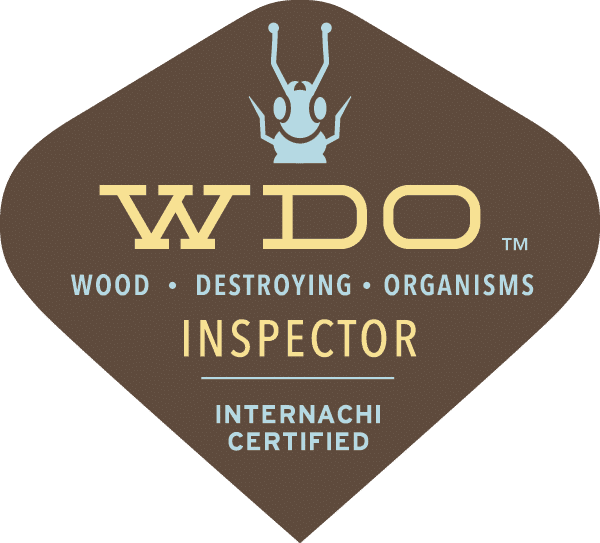 A wood destroying organism inspection will detect whether your home is infested with termites, beetles, fungus, or any other threat to your wood frame house or furniture. Waiting will only allow more damage (and termites!) to accumulate. WDO inspections can also facilitate the homebuying process. 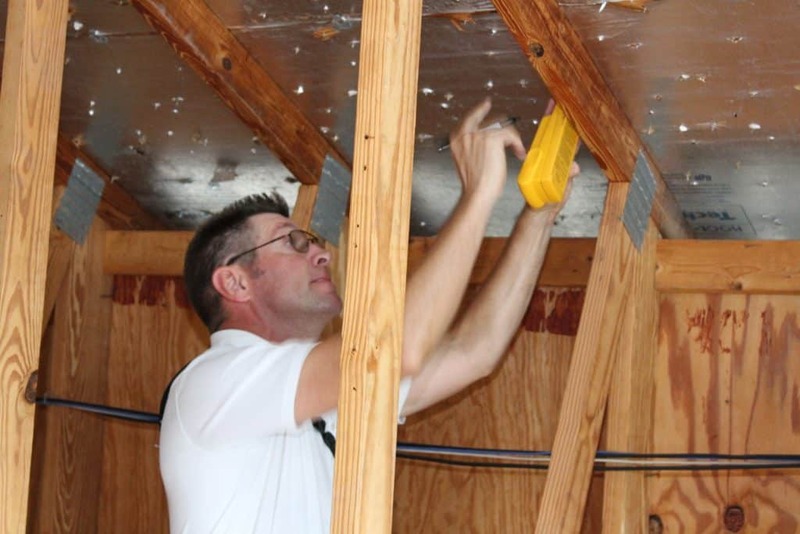 Having a WDO inspection done will verify the home is free of pests, whether its done before or after a sale. EDC Professional Home Inspections is ready to assist you with all of your home inspection needs. Call us today to schedule your termite inspection.